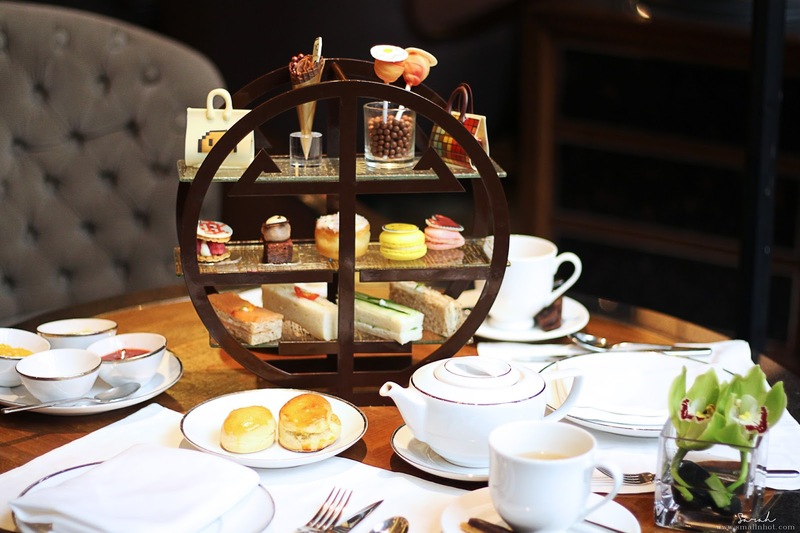 There's something about afternoon tea that I absolutely love. 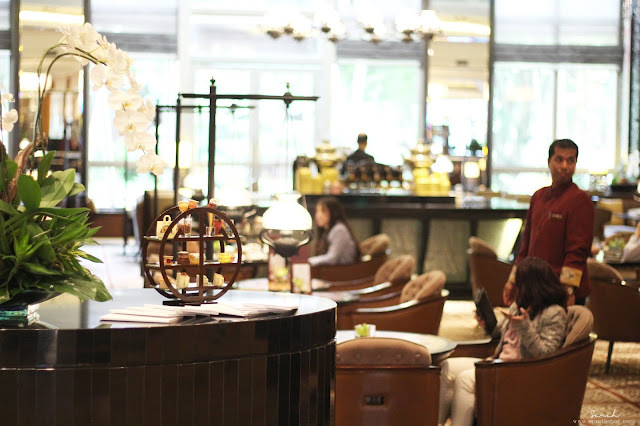 So we decided to review 10 luxury tea sets in KL over the next 10 weeks, First stop the Lounge on the Park at Mandarin Oriental Hotel KL to try out their new afternoon tea set. 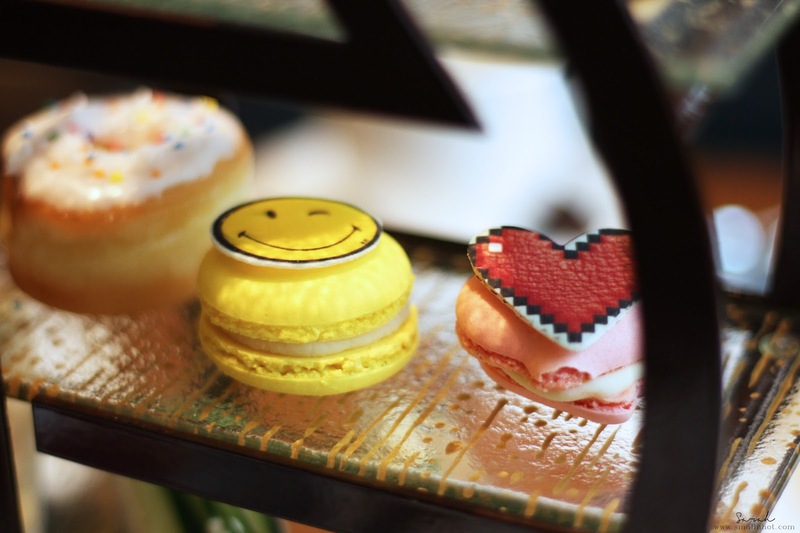 This new afternoon tea offering featured cakes and cookies designed to resemble the collection by Anya Hindmarch. At the start of our leisurely afternoon indulgence. 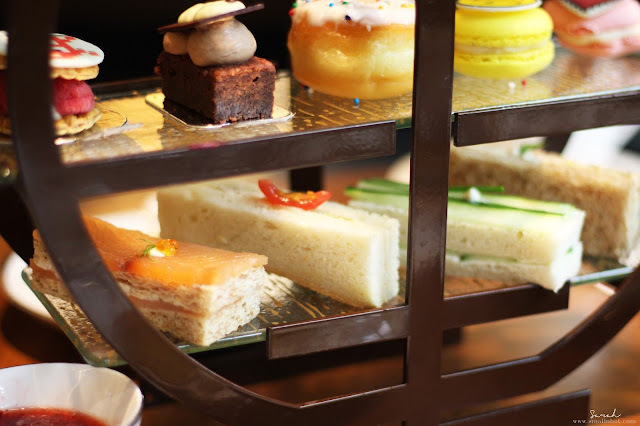 The Mandarin Oriental KL Afternoon Tea was served in a fancy round three tiered tray of sandwiches, cakes and sweets. Accompanied with a lovely and refined ambiance of glass and sculpted metal. 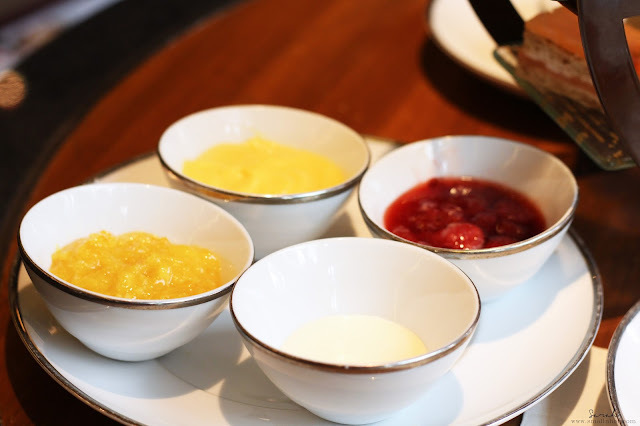 It's colorful and cute chocolate dainties literally calling you to try them. And here's the break down tier by tier..
Top Tier features a selection of picture pretty chocolate based sweets and cakes. They have all the chocolate you can think of, from handbag shaped milk chocolate with red velvet cakes and chocolate cake inside the bag. 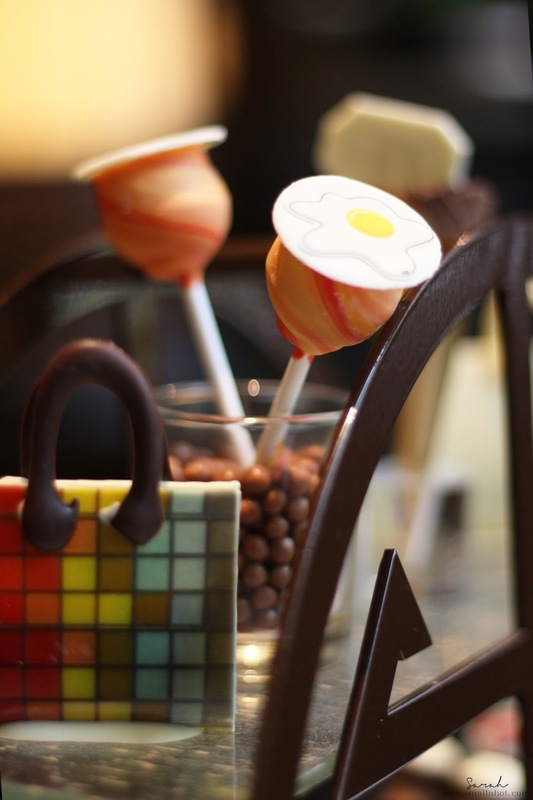 Other than that, there's an 'egg-lollipop' with white chocolate and milk chocolate filing that resembles the egg white and egg yolk. The chocolate affair didn't stop here because there's another chocolate cone mousse 'ice-cream'. I am not sure to say that this top tier is heavenly or just overwhelming with all the chocolate desserts that's going on here. 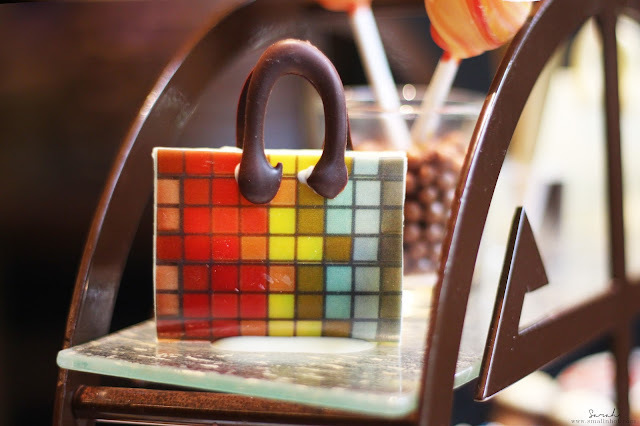 The white chocolate that resembles the handbag was overpowering when you pair it with the cake placed inside of it. It just took away all the flavour from the cake, making it feel like you're just having slices of white chocolates. 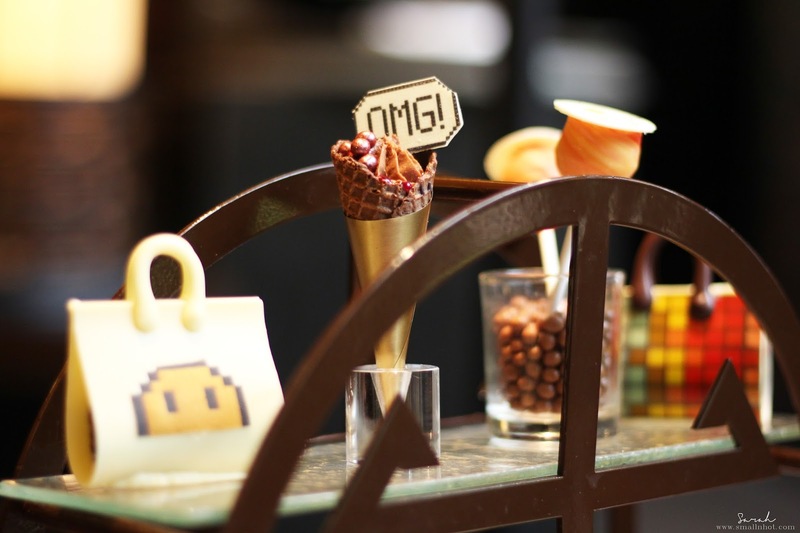 Let's not talk about the 'egg lollipop' and chocolate cone desserts, it's literally chocolate on chocolate. So if you are a fan of chocolate!, you probably would find this heavenly, but I personally find it rather over the top. 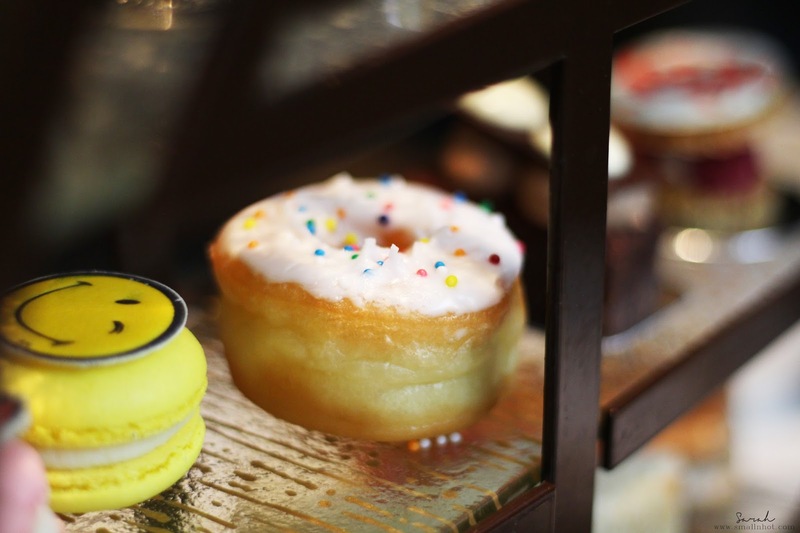 Second Tier highlights some less chocolatey dessert like macaroons, donuts, chocolate cake and raspberry puff. 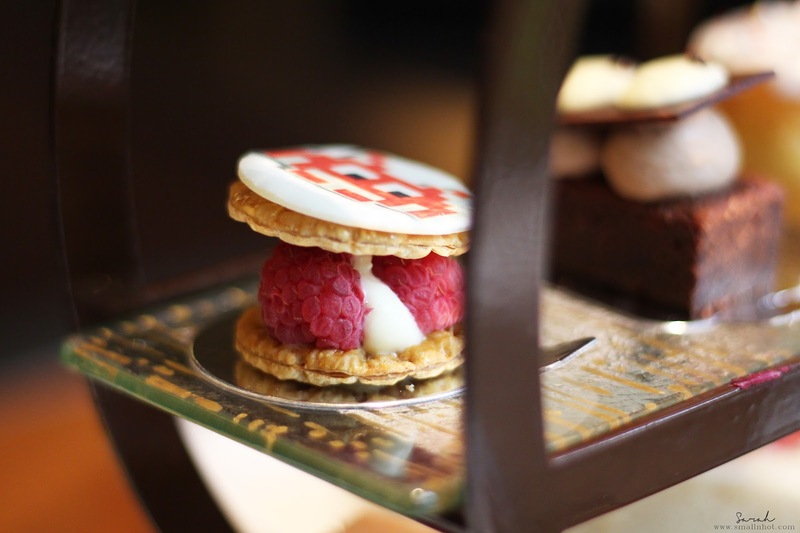 Of all the sweets and cakes on this second tier, my favourite goes to the raspberry puff because it has a balance of sweetness and savoury with the crispy puff sandwiching the raspberry and cream. Second favourite goes to the chocolate cake, was flavourful and cakey. Whereas the smiley and heart macaroons is just purely sweet with very little fruity flavour. My least favourite was the donuts because it was just a bland dough with sugar and sprinkles. Bottom Tier has 4 different savoury sandwiches including a smoked salmon, chicken, thinly sliced cucumber and lastly an egg sandwich. In my opinion, the sandwiches tasted pretty good, nothing fancy to rave about. Smoked salmon sandwich was naturally delectable and fresh. The plain and raisin scones was rather a let down. 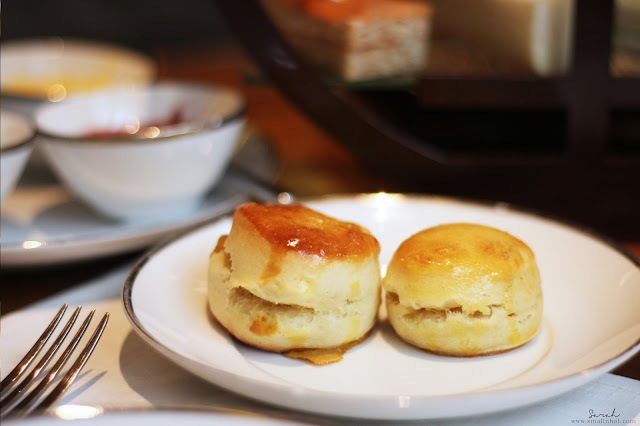 It was suppose to have a mixture of cake, bun and biscuit, slightly crumbly and not too dry or hard, but this pair of scones tasted pretty 'bready', literally like a piece of bread. I always enjoy pairing my scones with clotted cream and raspberry jam but even with a scoop of the 4 different jams (clotted cream, marmalade, orange custard and raspberry jam) it didn't make it any better and the clotted cream was rather bland. But I did enjoy the orange custard by itself, it has a very lightly sweetened with a tangy orange flavour,. 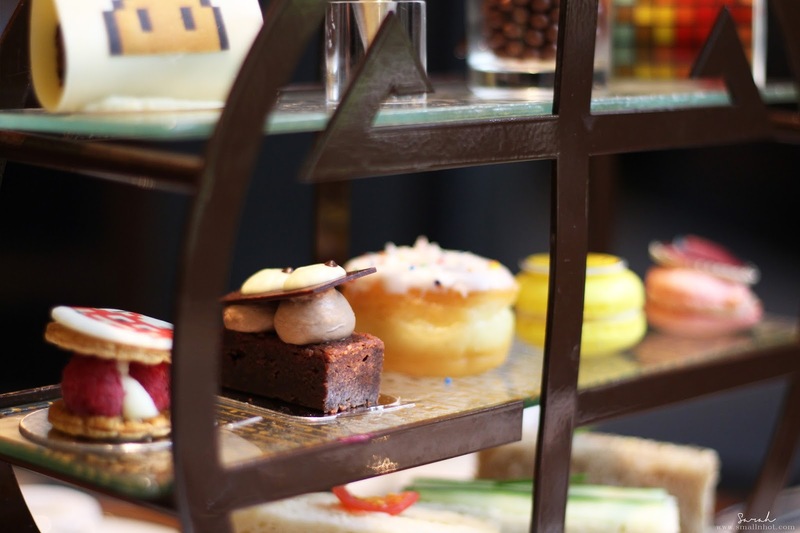 Overall, the Mandarin Oriental KL Lounge On The Park Afternoon Tea was very pretty to look at but not great to taste. Also the service was a little disappointing. We requested to have the window seats but the waitress told us off saying that the table was reserved for 4 pax in 15 mins but oddly no one showed up by the time we left the lounge was almost empty yet all the window seat were still reserved. So if you would like to have the window seats for the natural light, my advise is to a make reservation and stipulate it on the phone requesting for a window seats maybe you'll get lucky. Do note that the afternoon tea set featured is the Afternoon Tea by Anya Hindmarch but the normal English Afternoon Tea set is more or less the same, minus all the chocolatey handbags.